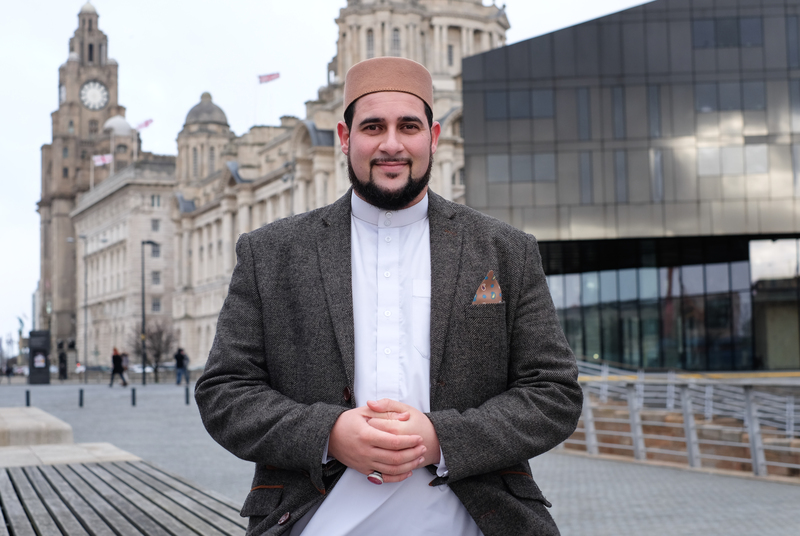 Adam Kelwick, 35, Muslim chaplain based in Liverpool. Photographed in front of Liverpool’s Liver Building in January 2018. “I’ve lived in Liverpool for almost 18 years so I’m an adopted Scouser. I’ve served as the Muslim chaplain for the Merseyside Police and the High Sheriff of Merseyside. The people of Liverpool are really nice – nobody reads The Sun! I believe it’s a big reason why people here are so open-minded. Social media plays a big part in my role. I use Facebook, Instagram, and Snapchat, and I’m about to launch my own YouTube channel. Last summer, I was at Euston station when there was a security alert – everybody was running and panicking, nobody knew what was going on. So I put on my Facebook Live and did my own coverage of the whole thing.